Mark your calendars for a holiday weekend design extravaganza. BRITTO CHARETTE is happy to announce that the Mana Wynwood Convention Center will host the Home Design and Remodeling Show from August 31st through September 3rd. The show will feature a range of vendors and products all geared toward designing/remodeling your home. 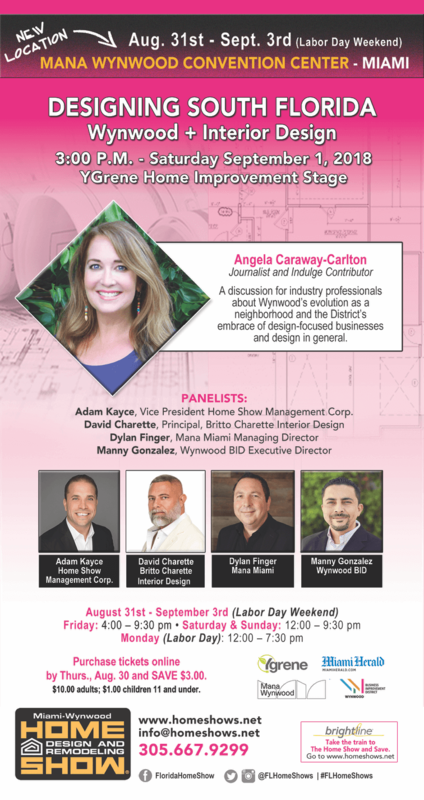 Don’t forget to stop by the YGrene Home Improvement stage on September 1st at 3:00 p.m. when David Charette, principal of BRITTO CHARETTE, and a panel of Wynwood design professionals will be discussing “Designing South Florida” with journalist Angela Caraway-Carlton. For tickets and information, please follow the links below. We look forward to seeing you!